The Grand Forks crew trying to pay Steven’s phone bill. 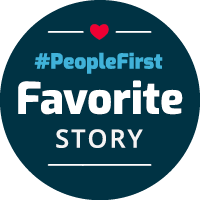 “This story gives me chills,” says Erica Schierholz, the Director of Frontline Learning & Recruitment at Choice Financial. 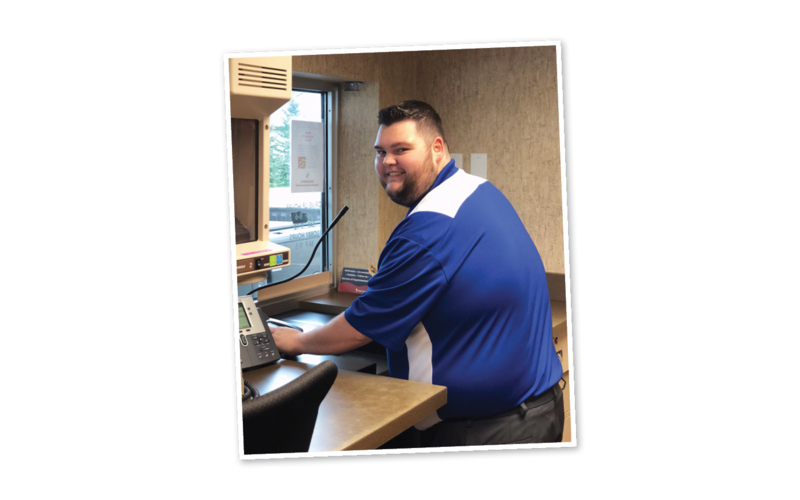 This is how she begins recounting the story of what happened one afternoon at Choice Financial Grand Forks; an interaction with a customer that she will never forget. In order to understand this interaction, we must backtrack to when Frontline Specialist Gina Peroutka first met their customer, Steven. Steven first came into Choice Financial with a woman, presumably his girlfriend, and a little boy. They set up an account and he mentioned he’d recently moved to Grand Forks. Gina gave them a warm welcome. Over the course of a few months, they’d stop by the bank now and then and Gina would help them with their account. Then one day, Steven came in alone. Something was different. A few weeks later, they found Steven’s account was covered with fraud. He mentioned his ex-girlfriend still had his old account information, so they closed the account and ordered him a new debit card. He needed it in time to pay his phone bill, he said. “You’ll have it in 7-10 days,” Allysia replied. Unfortunately, Allysia and her team got notice that the debit card had been lost in the mail. Steven called in to check on the status, and when they told him the news, he panicked. Allysia and her team got notice that the debit card had been lost in the mail. Allysia felt terrible. She assured Steven that they would get him the debit card as soon as possible. When she got off the phone, she explained the situation to her coworker, Chris Danielson. She told him the story and the glimpses into Steven’s life — how he seemed to be in a tough spot. The whole team agreed it was a great idea. They knew his phone provider was Cricket Wireless, so they decided to head to one of their stores and pay his phone bill using cashier’s checks. However, when they called ahead of time, they were informed it wouldn’t work. The team felt defeated. Of course, they didn’t have Steven’s account information, and they couldn’t call and ask him without ruining the surprise. So they called a different location, hoping to get a different response. Same answer. They called a third location; same answer. At this point, all three frontline team members were involved; Gina, Chris, and their coworker Allysia Gapp. At last, a representative mentioned that they could try to pay using prepaid Cricket Wireless cards. Clinging to that bit of hope, they jumped into action. Gina drove to the location on her lunch break, and picked up three prepaid cards for Steven. When she got back, the three of them called Cricket to pay over the phone. Call after call came back with an error. Meanwhile, Erica, their manager, had arrived with a group of new team members in training. It was at that moment that the unthinkable happened. The team was in the back on the phone, punching in numbers to no avail. Already they had begun to brainstorm other solutions — they knew Steven worked half-an-hour away on a farm, perhaps one of them could drive the cards out to him? Then, they heard the drive-thru bell. Allysia went to the window. It was Steven. Chris Danielson helping a customer. Allysia took his information then came to the back room with a huge grin. “You guys, he’s here!” she whispered excitedly. Steven took out a withdrawal, so Chris slipped the Cricket Wireless cards inside of the envelope. When he handed them to Steven, he smiled. “… Thank you!” Steven said. He seemed shaken by the event. They chatted for a few moments, said goodbye, and clicked off the mic. The rest of the team quietly celebrated in the back, while Erica and the new team members watched in surprise and awe. Erica noticed, however, that Steven didn’t leave. For a few minutes he stayed in the drive-thru, resting his head on his steering wheel. Then, they heard the drive-thru buzzer ring again. Chris switched on the mic. Steven was there, still clutching the envelope in his hand. “You have no idea how much this means to me,” he said, fervently. The team was quiet as Steven drove away. Tears welled up in Erica’s eyes, and she could see the new team members feeling the same. Chris hopes that a moment like this one can lead to many more. Gina, Chris and Allysia displayed Choice’s core value, commit to your customers with undivided attention, and it may have changed a life.